In today’s time, one thing that is becoming common is losing the important data on our phones by mistake or unknowingly. You must have read some of your friends’ statuses saying “lost all contacts” or “lost all messages”. I don’t know why that happens to people but it does somehow and that is why recovering that data is becoming a problem to be solved now a days. 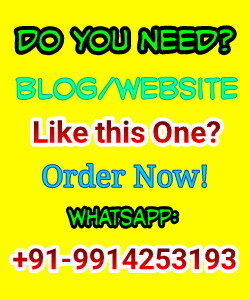 You will find many solutions on internet to recover your data. There you will get some steps for it which is a little confusing. That is why an app called “FonePaw Android Data Recovery” has been released. It solves this problem in a very easy manner. Here I am going to review this app. FonePaw Android Data Recovery works with Windows (7/8/8.1/10) and MAC OS(10.7/10.8/10.9/10.10/10.11). So, you do not have to worry about having a specific operating system to use FonePaw. It supports most of the big brands like Sony, Samsung, HTC, LG, Google Nexus, Motorola, ZTE etc. So, the phone you are using is not an issue as well. Contacts: The information you have saved on SD card or in internal memory can be recovered. That includes phone number, name, email, address etc. Call logs: Name, numbers, call type and duration etc. all can be recovered. 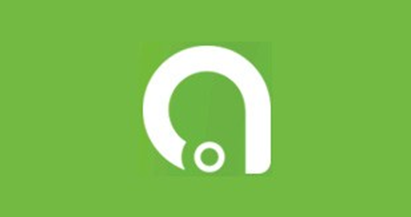 Text messages: All text messages or MMS including the attachments can be recovered using this app. WhatsApp messages and attachment: WhatsApp chats and images can be recovered even if it is not backed up. Images: Photos saved from internet or the photos that you took can be recovered in many picture formats. It includes png, jpg, gif, bmp, webp etc. formats. Audio and Video: Whether they are downloaded or recorded, FonePaw Android Data Recovery will be able to recover it. Document files: FonePaw will also help you to recover your doc, html, ppt, pdf , excel files easily. The user interface of FonePaw is quite easy to understand and use. Any user, whether he/she has a knowledge about data recovery or not, will be able to use FonePaw easily. The user interface is that good and that is one of the major plus points of this app. It gives user the choice to choose a particular type of data he/she wants to recover. For example, you can choose only lost contacts or only lost audio files to recover them. That saves a lot of time. The recovering speed is high anyway. So, I give full marks to FonePaw for the user interface. One of its other advantages is that it previews the data before recovery so that you can verify it and only perform recovery if it is okay. You can download the 15-day trial version for free but after that it will cost you $49.95. However, I will advice you to go for it for the features it has. Let’s see how we can recover lost messages from Android. Step 1: First of all, launch FonePawAndroid Data Recovery and connect your phone to the PC using USB cable. This procedure is completely safe. 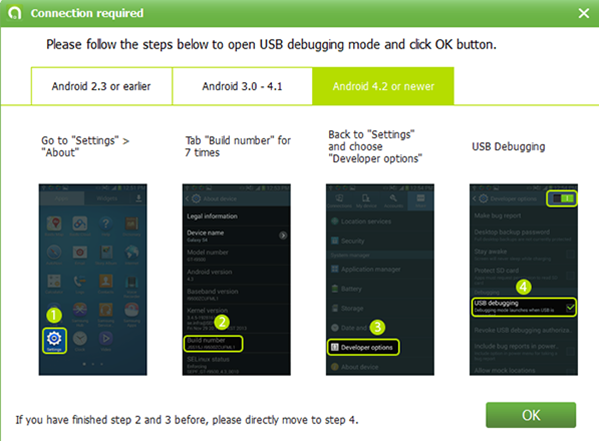 Step 2: Check if the “USB debugging” option on your phone is on or not. If it is on, then the phone will be detected on pc immediately. It it is not, then you will have to do it manually. Step 3: Now your phone is connected to the PC. 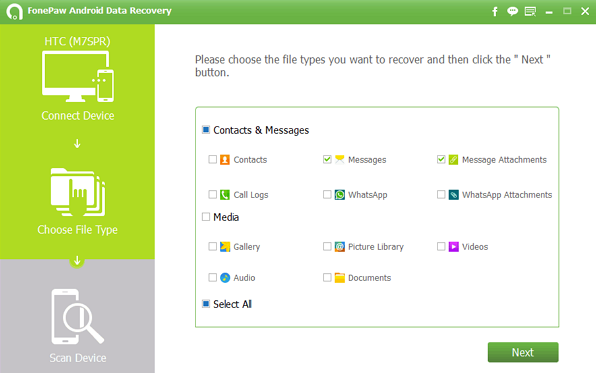 Now we can select any specific type of data for recovery. For our example, we choose “Message Attachments” and then click “Next”. Step 4: In this step, the program is going to scan the SMS data from your phone so it will ask for the permission first. For this, check your phone and click “Allow/Grant/Authorise” on the pop-up window. If the prompt does not appear on the mobile screen, then click “retry” to try again. Step 5: This step will finally perform recovery. It will show you the deleted messages on your PC screen. You can check the names and contents of the messages. You can verify other information as well. The deleted messages will appear in red colour font. After checking, you can select the ones you want back and then click “Recover” to get them back. These messages will be stored on your PC. These messages will be saved in CSV/HTML format. 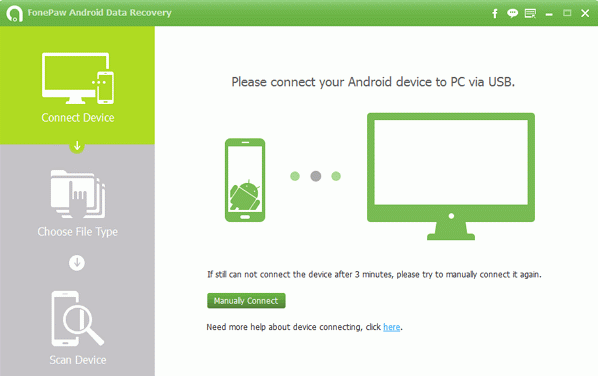 So, this is how easy it is to recover your lost data using FonePawAndroid Data Recovery. Here I will summarize my review in few points. Thus, if you have any confusion about having this app, then get it out of your mind. This app is one of the must have apps for an android user. It will help you everytime when you lose any important data. Just go for this one. 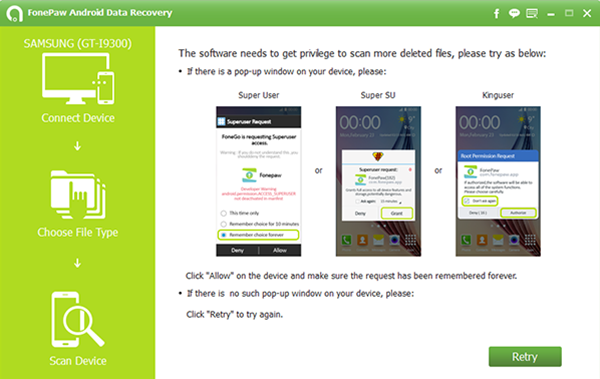 Message: I hope that you have enjoyed '[Review] FonePaw Android Data Recovery – Recover Deleted Text Messages from Android' article on Tips2secure. However, if you want me to deliver more items, then please share my post. You can use Social Sharing Widget provided at the end of every post. After all, Sharing is Caring!